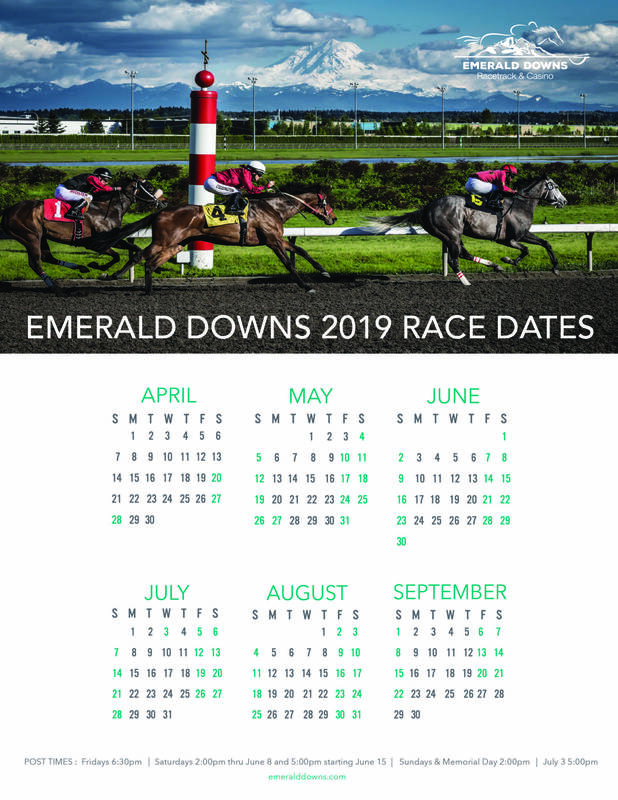 Hang out with the stars of Emerald Downs: See the horses training, visit with trainers and the jockeys, all while enjoying a delicious breakfast on track level! Get a glimpse into all the hard work and behind-the-scenes morning activity that goes into racing.  Enjoy the leisurely atmosphere and be “wowed” by surprise, drop-in appearances by our celebrities: jockeys, trainers, exercise riders, jockey agents, gate crew and more! 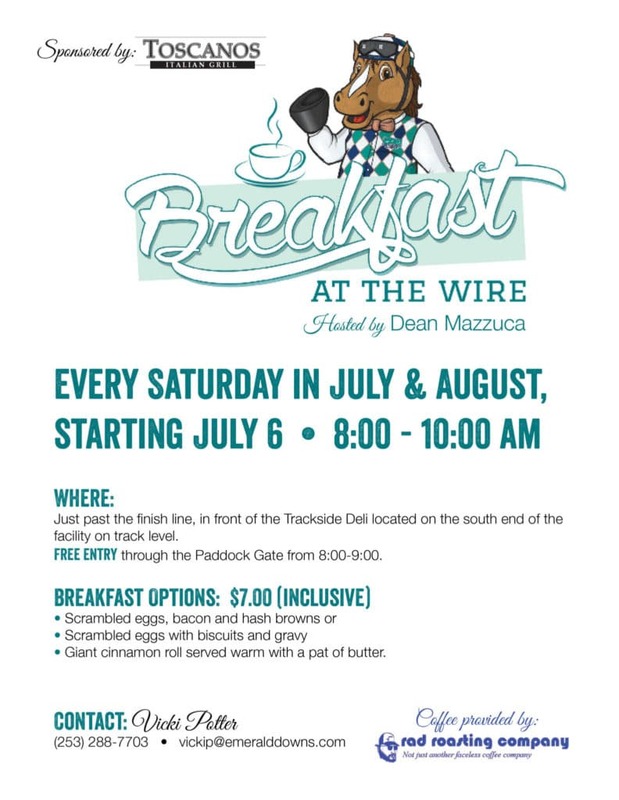 Hosted by Dean Mazzuca, Breakfast at the Wire is a great way to start the day at Emerald Downs!  The gathering happens right near the wire – Located just past the finish line in front of the Trackside Deli at the south end of track level.